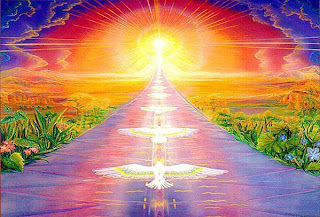 Someday after we have mastered the air, the winds, the tides and gravity, we will harness for God the energies of love. And then for the second time in the history of the world man will have discovered fire. 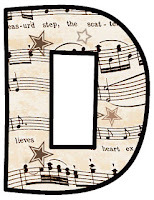 The Key of B is traditionally associated with the Seventh Chakra, also called the Crown Chakra. 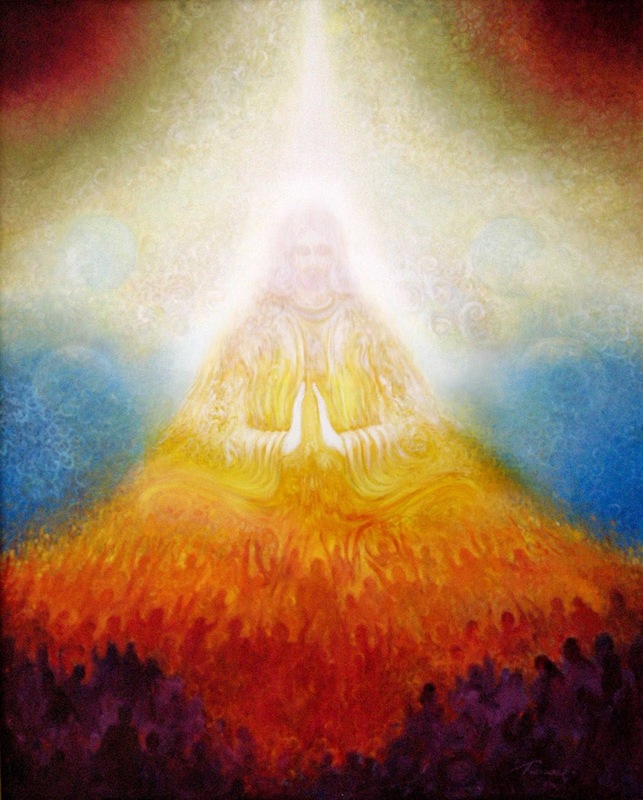 The Seventh Chakra is the seat of the essence of integration, unification and completion. When the Crown is opening and flowing, the experience is profound. Feelings of completion and wholeness arrive, along with a deep sense of fulfillment, the type of comfortable satisfaction that comes when you are happy and secure with who you are. When the Seventh Chakra is blocked and bound, a sense of mental agitation stemming from not being able to "see the forest for the trees" can overwhelm you. Confusion and doubt are often present, stemming from an inability to focus o the task at hand. The open Crown will give you the understanding of how to integrate your diverse experiences and perceptions into a unified whole. You'll find yourself easily able to focus simultaneously on the whole and its constituent parts. And most of all, the work of opening the Seventh Chakra creates the experience of oneness and clarifies your understanding of surrender and acceptance, the last steps toward becoming your essential self. 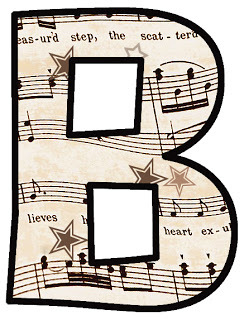 Here's a video of Piano Improvisations in B Major, for more ideas on music in the key of B, see this list of compositions in the key of B, and also Jazz compositions in the key of B. The Key of A is traditionally associated with the Sixth Chakra, or the Third Eye Chakra. 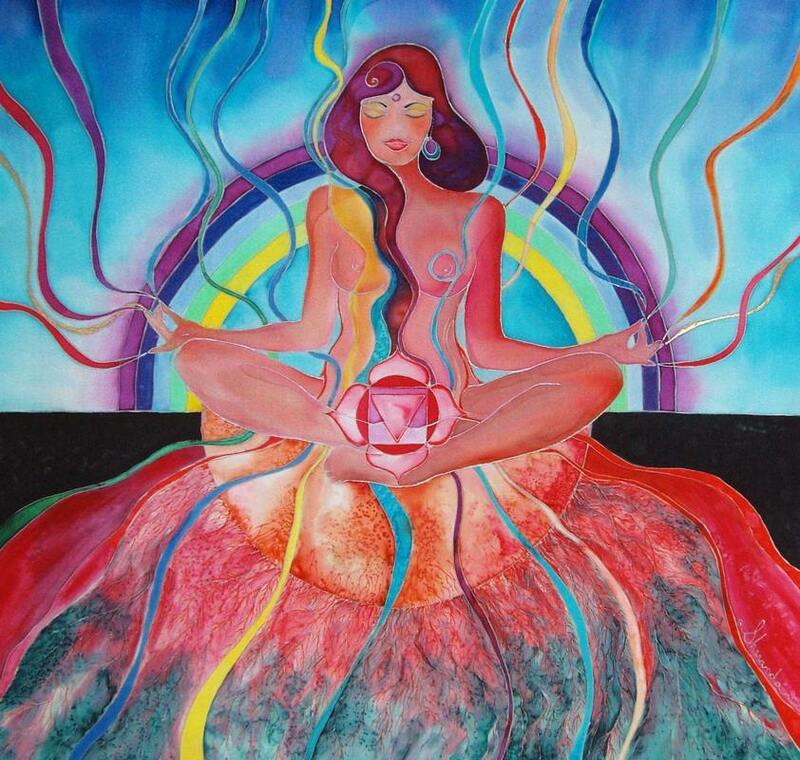 The Sixth Chakra is the seat of the essence of clarity, open mindedness and seeing the truth. It is no coincidence that this center is located in the brow, in the "place between the eyes" Indeed, the sixth center is the most famous of all Chakras - the Third Eye. 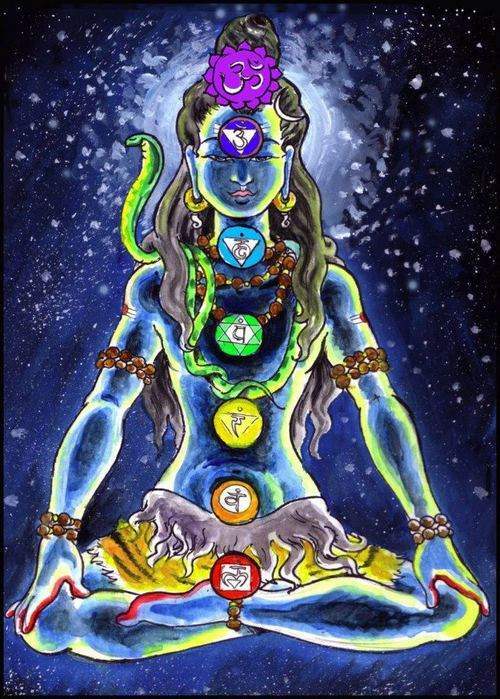 When the Sixth Chakra is open and free flowing you experience a sense of clarification and let go of judgmental attitudes that produces anger, fear and resentment. Appreciation born of the ability to see things as they truly are tailors your outlook on life. When the Sixth Chakra is blocked you will often experience feelings of anger, doubt and fear. Judgmental bias or dogmatic attitudes are usually present, states of mind the generally lead to an inability to make commitments. The need for clarification and reassurance is very present when this center is blocked. 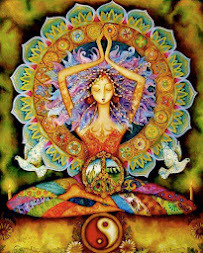 Working to open the Sixth Chakra will bring forward an understanding of what it means to see clearly, without the energies of bias and judgment clouding your perspective and influencing your thinking and then your actions. In this music video, Bob Marley sings "Is This Love?" a reggae tune in the key of A. 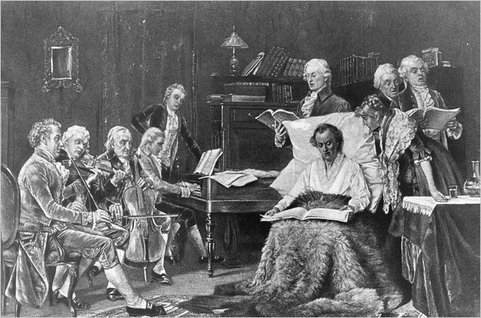 For classical music in the key of A, see this list of compositions in the key of A. The Key of G is traditionally associated with the Fifth Chakra, or the Throat Chakra.The Fifth Chakra is the seat of the essence of expression, communication and speaking your truth, aspects of the essential self that are deeply empowered by the harmonization of these energies in the heart Chakra. 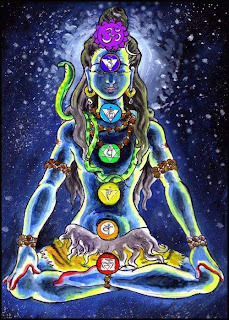 When the Fifth Chakra is open and free flowing, your ability to express the essence of who you are truly becomes possible. The essential self finally feels recognized, validated and received, you feel comfortable with you are and your expression reflects this. When the Fifth Chakra is blocked, issues stemming from Low self esteem and the inability to express one's self clearly are present. "Holding back" the truth and an inability or reluctance to bring forth the qualities that were revealed in the transformation of the heart into language are also pervasive issues. Opening the Fifth Chakra encourages the expression of the next step in fulfilling your purpose---being present with what your essential self thinks, believes and feels and developing the ability to speak from this place of unity and truth. This music video of "Come As You Are" by Nirvana is played in the key of G. More music in the key of G can be found on this list of compositions in the key of G, and also Jazz compositions in the key of G.
The Key of F is traditionally associated with the Fourth Chakra, or the Heart Chakra. 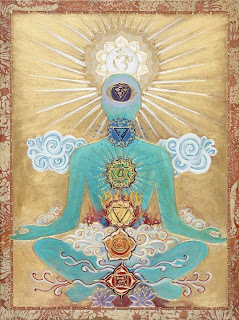 The Heart Chakra is the seat of the essence of interconnection, transformation and the beauty of unconditional love, aspects of our essential self and its pure heart. 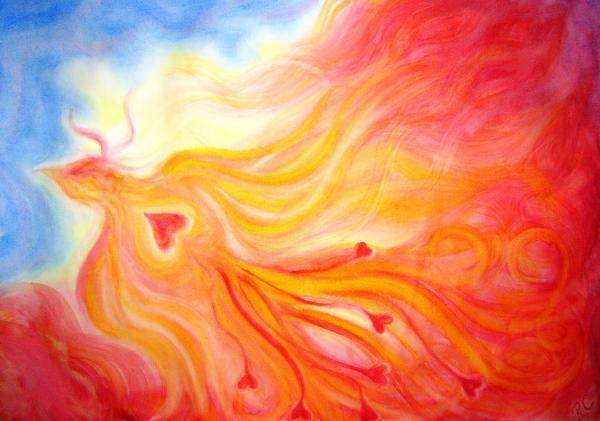 The opened and free flowing Heart Chakra resonates with the energy of this transformation. 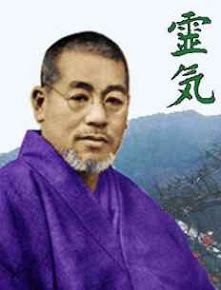 Embodied in the heart itself, this center naturally performs the function of giving and receiving, giving and receiving, all in one motion, all at the same time, taking nothing, giving and sustaining life. When the Heart Chakra is blocked, Feelings of loneliness and the sadness are present, at a deeper level, emotions and feelings are present that interfere with the experience of unconditional love, the understanding of wholeness and the nature of interconnection. Learning to be present with our feelings and transcending our possessive, demanding natures seems to be a never ending story, born of our inability to simply accept all things for what they and stop trying to make them into what we want them to be. Opening the heart creates the opportunity to transcend this ancient human pattern and embrace the beauty of giving and receiving. 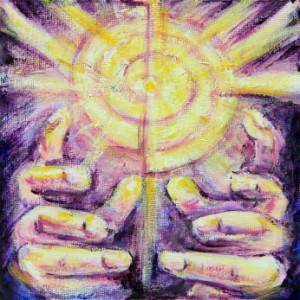 The Key of E is traditionally associated with the Third Chakra, or the Solar Plexus Chakra. The Third Chakra is the seat of the essence of reception, unification and centering, aspects of the essential self that are deeply empowered by your ability to choose. 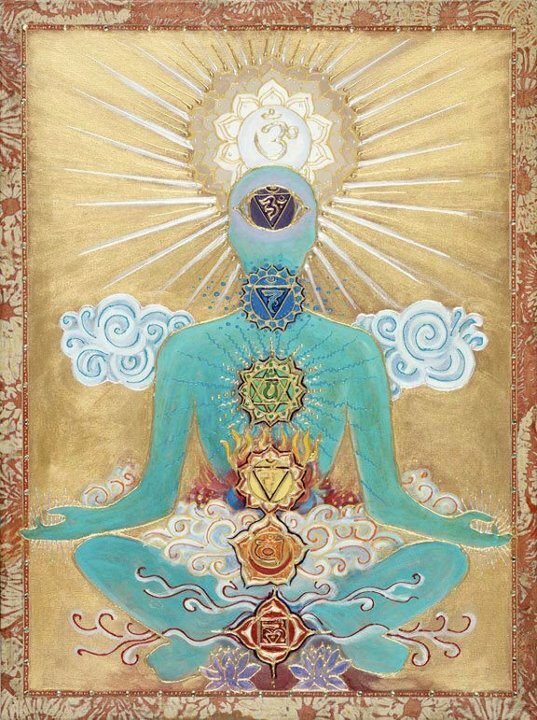 When the Third Chakra is open and free flowing you will experience a sense of being centered and a deep knowing of who and where you truly are. A sense of confident calm often accompanies these feelings. When the Third Chakra is blocked and bound, you may experience shortness of breath and a tendency toward panic attacks and feelings of anxiety. You may be faced with the inability to define your position or relationship with the external world and experience chronic discontent with the details of your life. Learning to let go of these preconceptions is the next step in creating the conditions that allows the essential self to come forward. 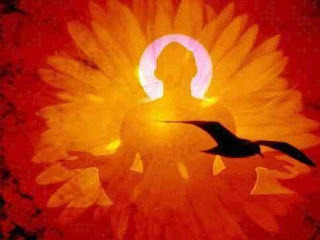 By allowing yourself to let go of these desires and the preconceptions and expectations that accompany them, you are beginning the work of opening the Third Chakra. 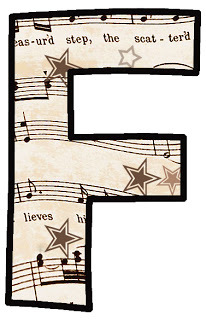 Here's a video music clip of a Funk, Jazz, Blues backing track in E major to groove on. 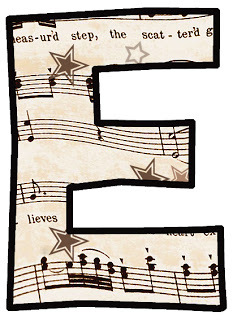 For more music in the key of E, check out this list of compositions in the key of E.
The Key of D is associated with the second Chakra, or the Sacral Chakra. The Second Chakra is the seat of the essence of relationship, duality and the beginnings of self awareness. When the Second Chakra is open and unblocked by your emotions, memories and desires, you experience a deep sense of self awareness, a feeling of knowing who you are, of being present within yourself and for yourself. When this center is blocked, you may experience sensations of separation both within yourself and from your closest family members. You feel disconnected, not in relationship, agitated and alone. You are not present. Learning to be present and to welcome your relationship with yourself and others is the next step in creating the conditions that allow the essential self to come forward. Opening the Second Chakra is an important step on this journey. Here is a Mozart Sonata For Two Pianos in D Major. 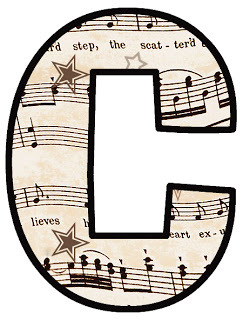 For more music in the key of D, see this list of compositions in the key of D.
The Key of C is traditionally associated with the Root Chakra. The Root Chakra is the seat of the essence of creation, your vital force, your purpose and the essence of who you are, your essential nature. When the Root Chakra is open, you experience a feeling of calm self confidence, along with the energy of your creative vital force moving throughout the mind and body. When the Root Center is blocked or bound by your emotions, memories and desires you often experience feelings of self doubt, a lack of purpose, along with the never ending list of questions concerning who am I and what is my purpose in life, leaving you feeling empty and not present, not grounded. Learning to stay grounded and in the body is a very important first step in doing the work of bringing forward the essential self and experiencing the flow of your creative vital force. Opening the Root Chakra is the first step on this journey. Here is a lively Flute Concerto in the key of C by Friedrich II (1712-1786), King of Prussia. He was one of the greatest commanders in history and a very interesting and complex character overall. 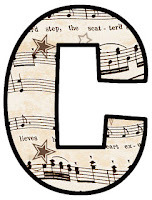 For more music in the key of C, see this list of symphonies in C major and this list of Jazz compositions in the key of C.
This page serves as a table of contents for a short course in Music Therapy offered as part of a class in Holistic and Complementary Therapies given for CEU's (continuing education credit) for nurses and health care professionals. 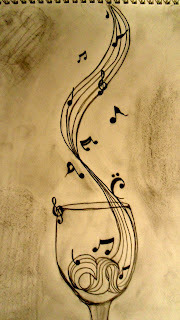 The intention of the course is to give a general understanding of Music Therapy. Note: If you would like to print or share these articles on Music Therapy, that's fine with me, all I ask for is a link back to Two Feathers Reiki. Music by Jonathan﻿ Goldman from his album: Jonathan Goldman and Crystal Tones Albums - Crystal Bowls Chakra Chants 2009. Meditation with crystal bowls and human voices to clean and balance your 7 Chakras. In the order: 1- Root Chakra, 2- Sacred Chakra, 3- Plexus Solar Chakra, 4- Heart Chakra, 5- Throat Chakra, 6- Third Eye Chakra, 7- Crown Chakra. Whether you listen to tribal music in Africa, the most evolved music of India or even Western classical music which has evolved in a different direction -- wherever you go -- there are only seven notes. It can't be an accident. It definitely cannot be an accident because all these cultures and their music have evolved completely, without any communication between them. 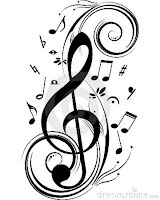 Music means various types of sounds: when they're in tune it becomes music; out of tune it becomes noise. The same is true with you. If all the different ingredients of who you are become in tune, you are like music; out of tune you become noise. So first of all, what is sound? If you feed any sound into an oscilloscope, a sound-measuring instrument, it gives out a certain form. That means every sound has a form attached to it. Similarly, every form has a sound attached to it. Or in other words, today modern science is proving to you that the whole existence is just a vibration of energy. Just 100 years ago, science believed in matter, but not anymore. Now, modern science has gone full-circle and denies matter. Modern science says there is no such thing as matter. Matter is just a make-believe thing -- it's a relative existence. It is not a reality. Reality is just energy vibrating in different ways. The whole existence is just a vibration. Where there is vibration, there is bound to be a sound. Isn't it so? Where there is a vibration, there is bound to be a sound. So in yoga, we say the whole existence is just sound. We call this "Nadha Brahma." Nadha Brahma means the whole creation and the creator are just sound. Now this is not a fancy conclusion that somebody has drawn, a scientist deduced it. Albert Einstein never experienced this; he only mathematically deduced that everything is just energy vibrating. But when we approach it experientially, when we saw it experientially, naturally it was all sound. Every vibration is a sound. So every form that you see in the world is a certain kind of sound. So if everything is sound, why don't you hear it? This question will naturally come up. You don't hear it simply because your hearing range is in a small band of frequencies; anything below that is subsonic and anything above is ultrasonic. For example, if you take a transistor radio and tune it, suddenly it starts singing or talking - where is the sound coming from? It's already in the air, isn't it? Fortunately, you cannot hear it. It is in a frequency mode which is not in your hearing range, but it is all over the place. Similarly, the whole existence is just sound, but it is not in your experience because your hearing range is limited. 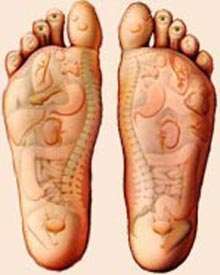 If you move into a certain state called Rithumbara Pragna, if you move into this state, and if you look at any form, the sound attached to it becomes clear to you. In such a state, the whole existence is just sound. All musical notes come from this. Now the human body is constructed with seven basic components, and the root sounds for these seven basic components are what have become musical notes everywhere in the world. People who evolved music may not have experienced this, but if you experiment with music, whichever way you experiment, everything falls within the parameters of these seven notes because the very construction of the body is within the seven dimensions of creation, which is being represented as chakras. 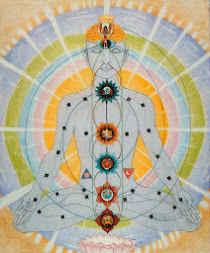 A "chakra" is just a meeting point for the energy system. It is a junction point, a traffic junction, and there are seven major junctions. This does not mean that a chakra by itself has its own quality, it is just that all roads which travel in a direction are doing certain things; they come together at a certain point, so it becomes a powerful place. If a person becomes utterly silent within himself, then the body can be experienced as sound. It is in this state that these seven notes have evolved. In India, music was not just entertainment, it was a spiritual process. The classical music, the way sound is used - the ragas (melodies), the talas (rhythms) - everything is such that if you get deeply involved in it, it will bring meditativeness. You will see that a person who is very deeply involved in classical music will be saint-like. Have you have seen this? If you have seen a person who is very deeply involved in classical music, he becomes like a saint because it makes him meditative. It was not that somebody invented it just for entertainment. Entertainment was not the attitude of life. Everything was a spiritual process to reach a higher level of consciousness. Music resonates the body's energy system - the Seven Chakras. It stimulates these centers, awakening them and releasing the storehouse of creative vital force that is waiting there to be discovered, giving listeners glimpses into the deepest aspects of themselves. 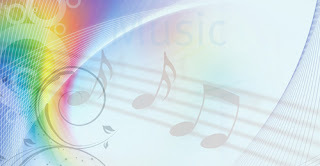 Various techniques are used in selecting the music used to provide the therapeutic healing effect of music therapy. Examples include prerecorded background music, improvisation, songwriting, live and recorded music, and guided imagery. For example, improvisation works by providing a person with a timely vehicle for expressing emotions beyond words while affording the individual a meaningful, intimate experience of being "heard." The songwriting approach provides a medium that enhances therapeutic relationships and produces powerful means of communication. Music therapy is far more than just playing music; it is also about sound. Recorded music can be used to stimulate the senses; however, nature is also filled with sounds that can soothe, relax, and even energize a person. Sound healing can be achieved in a number of ways, including singing, speeches (both giving and listening to); karaoke; playing musical instruments; listing to bands, choirs, or orchestras; and even dancing to music and sounds. Engaging in one of the above sound activities can take our minds off our problems, help us focus our minds on other important thought processes, distract us, and ultimately relax and sedate us. For example, loving speeches can make us relax and feel better and are extremely healing. Angry speeches have the opposite effect. Musical instruments allow us opportunities to express ourselves in unique and confident ways. They are tools that can be used to uplift our spirits and are a great way to manage stress. One theory of how music therapy can achieve therapeutic responses claims that sensory and rhythmic stimuli that affect the limbic system through the auditory nerve and medulla evoke memories. 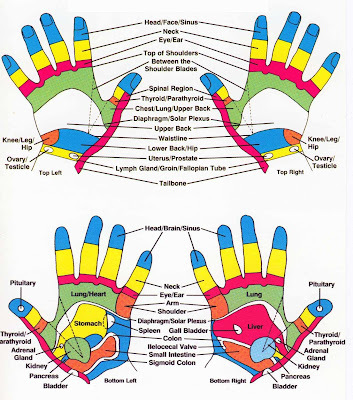 Our bodies atoms, molecules, cells, glands and organs all have vibrational frequencies. Sounds from outside the body stimulate sympathetic vibrations in the molecules and cells that enhance the healing process. Music therapy is both inspirational and therapeutic. It can conjure up memories and emotions and can serve as a source of relaxation and diversion to people who are emotionally burdened. Music can be an entertainer, a sedative, a hypnotic, an analgesic, a tranquilizer, and a spiritual counselor. Spiritually, music is used to represent different emotions, promote fellowship, prevent social isolation, and in some cultures, to march citizens to and from wars. Music can elevate our spirit by giving hope and balance when nothing else is left. Different types of music can elicit different mood responses. Certain music can help reduce stress and feelings of isolation. Music can also contribute to the release of endorphins, the body's natural pain killers, thereby relieving pain, promoting pleasant emotions, and in turn, helping a person relax. The key is to select music to fit the individuals need and mood. 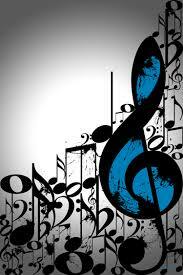 Man made music: Classical, Pop, Country, Rock, Blues, Jazz, Instrumental, New Age, Orchestra, Hymn, Gospel, Opera, Folk, etc. Natural sounds: Rain, Wind, Birds, Waves, Wild animals, Domestic animals, Crickets, Trains, Childhood sounds, etc. Like an orchestra, each organ, bone, and cell in the body has its own resonant frequency. Modern medicine now uses sound waves to diagnose and treat certain diseases. In fact, scientists have suggested that listening to Mozart can improve our powers of concentration and enhance our ability to make intuitive leaps by organizing the firing patterns of neurons in the cerebral cortex. In the book, The Mozart Effect, it is explained how different types of music can produce different responses, even to an unborn fetus. Each musical instrument, whether blended with a palate of other sounds or of its own accord can evoke a vast array of emotions, memories, and thoughts that can be very useful in boosting the immune system, reducing stress and anxiety, and promoting spiritual and physical healing. Therapeutic music can be classified as sedative or stimulating. Sedative music can lower anxiety, pain, tension, and stress levels, resulting in decreased use of anesthetics and pain medications. Stimulating music can be a source of motivation, both physically and psychologically, and it can be a positive reinforcement during physical therapy and rehabilitation. These principles facilitate the understanding of music therapy and its uses as a healing intervention. The first principle, intent, ensures that clients are informed about the purpose of the therapy. 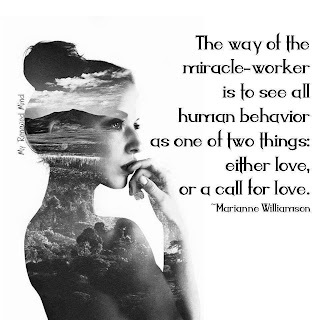 This principle is critical because it allows the client to focus on the therapy, and it makes the second principle (authentic presence) easy to achieve. Intent gives the client an idea of what to expect during therapy and an anticipation of the possible outcomes. 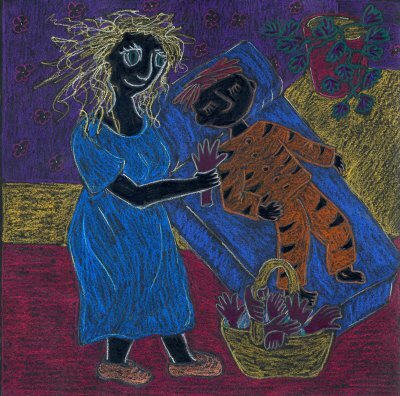 An example of the principle of intent is a mother singing a lullaby to her child. The child feels the love in the mother's voice and he or she falls asleep. The intention here is loving. Intentions can also be aggressive, such as at a football match, when fans sing aggressive chants directed at an opposing team. Authentic presence refers to a nonjudgmental acceptance of the client as a unique individual. In authentic presence, the goal is to initiate a conversation without words but with music. 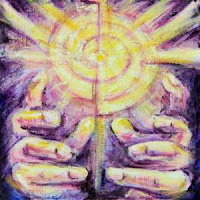 This allows the mind, body, and soul to use the tools from within the client to release negative energy. Wholeness recognizes the idea that a person can find balance with the environment to feel complete and whole. Music is used by the client to feel as one with the environment, which is necessary for the mind-body connection. The principle of preference allows the patient to select his or her own music. This is important because, in order for the client to have a positive experience with music therapy, he or she has to be willing to be in the moment. Personal selection of music allows this to occur. The fifth principle, entrainment, explains how the body organs become engaged simultaneously or synchronously with the music. This fascinating aspect of music therapy can be illustrated by measuring a client's heart rate during music therapy. Heart rate usually slows down or speeds up to match the tone and rhythm of music. This principle, in conjunction with the client's mood and emotional state, guides the choice of music to use. Situating the client is the last principle of music therapy. 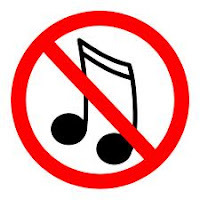 Prior to any use of music therapy, a proper environment should be set up. The environment should be quiet and properly lit and should contain a comfortable chair or bed for the client. A client can either sit or lie down, but he or she should be comfortable. Distractions should be removed, and the mood should be determined by the client's emotional state. The room should also be free from interruptions. 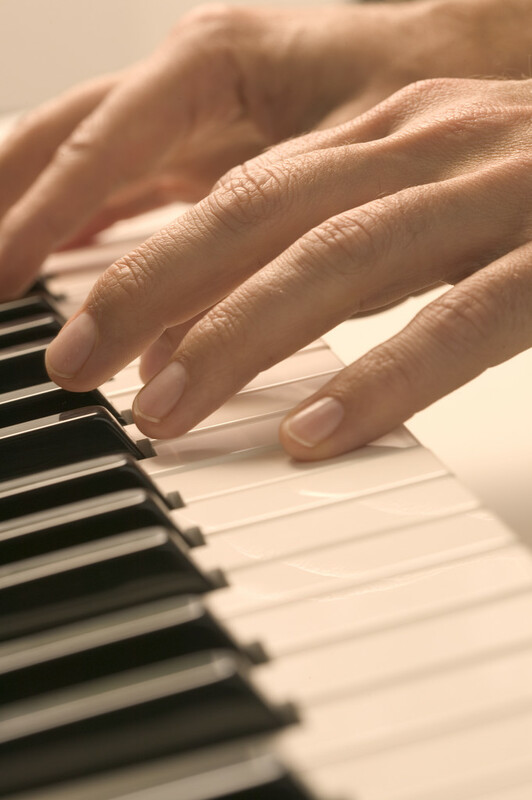 An assessment is important prior to implementation of music treatment to address any complications, such as hearing difficulties. Music therapists must be board crtified in order to practice. According to the AMTA (American Music Therapy Association), the standard curriculum for becoming a music therapist includes courses in researach analysis, physiology, acoustics, psychology, and music. Today, about 70 undergraduate and 25 graduate association approved programs exist across the United States to teach music therapy. The AMTA as more than 4,000 members who are certified to perform music therapy. To become a music therapist, one must hold a bachelor's or higher degree from one of the schools listed on the AMTA website and complete a 6 month internship at a clinical site approved by the AMTA. Once the internship is completed, the candidate is eligible to take the national certification examination that is offered by the AMTA's Certification Board of Music Therapists. Successful candidates obtain the credentials Music Therapist - Board Certified (MT-BC). Other types of licensures and certifications awarded in music therapy are Registered Music Therapist (RMT), Certified Music Therapist (CMT), and Advanced Certified Music Therapist (ACMT), which are based on the level of education obtained. All music therapists are listed on the National Music Therapy Registry. A person who has earned a bacalaureate degree in an area other than music therapy can also become a music therapist by completing only courses required for music therapy. In such cases, the person need not earn another baccalaureate degree but can sit for the certification examination once those courses have been completed. Every certified music therapist must be re-examined every five years or show documentation of 100 contact hours of continuing education credits or units to continue to practice. These standards and criteria are set by the AMTA, which has official publications on the subject, including journals, monographs, bibliographies, and brochures. The AMTA has also implemented a code of ethics, standards of practic, a system of peer review, a judicial review board, and an ethics board. Every music therapist must comply with the legal and ethical standards set forth by this agency. Nurses planning to develop an independent music therapy practice must first become certified and are also required to follow the American Nurses Association and AMTA standards of practice. Music has been a part of every culture since the beginning of time. Early musical forms included chanting, praying, drumming, incantations, and mantras. The evolution of music as a therapy was based on the healing practices of many cultures. Music therapy can be traced back to the ancient civilizations of the Egyptians, Chinese, Indians, Greeks, and Romans, as far back as 1500 BC. Evidence of its use can be found in biblical, literary, and historical writings. 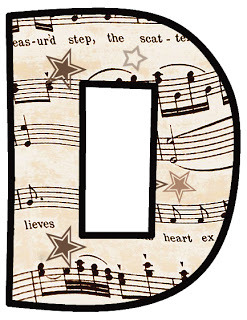 Music is often described as the oldest art form used in healing. Apollo, a well-known Greek god was referred to not only as the god of medicine but also as the god of music. In addition, Plato claimed that various musical "moods" or scales might successfully be prescribed for relaxation. It has also been reported that Alexander the Great's sanity was restored by music therapy. The use of music was prominent during the Renaissance and Middle Ages. In the 1900's, many reform movements occurred, leading to the formation of the National Association for Music Therapy in the United States in 1950 and later, in 1958, the British Society for Music Therapy in the United Kingdom. After the World Wars, music therapy was used in Veterans Administration Hospitals in the United States for veterans suffering from emotional and physical trauma from the wars. The recognition of the psychological, cognitive, physiological, social, and emotional benefits of music therapy by the physicians and nurses at the VA hospitals marked the true beginning of the use of music as a holistic therapy in the United States. Today, almost all developed and some developing nations have formed their own music organizations. In the UK, for example, the Association of Professional Music Therapists was developed in 1976 from the British Society for Music Therapists; this organization has played a major role in establishing state registrations of music therapists in the United States, UK, Canada, Australia, Germany, and Scandinavia. The Association of Professional Music Therapists has also created a database of registered therapists, which is increasing worldwide. 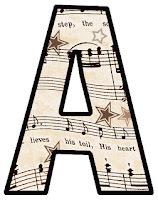 Although music therapy was first introduced in the United States in the 1940s, it was not until 1998 that the American Music Therapy Association was formally founded as a union of the national Association for Music Therapy (AMTA) . According to the AMTA, music therapy is the progressive development of the therapeutic use of music in rehabilitation, special education, and community settings. By using music therapy to treat psychiatric disorders, the health care industry recognized its therapeutic possibilities. Music educators such as E. Thayer Gaston and many trained physicians played vital roles in the development of music therapy in the United States. 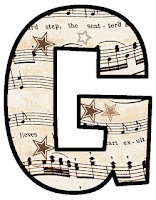 Gaston started the first training and graduate program for music therapy in the United States. Many musicians have since composed and recorded stress-reducing musical scores that are used as alternative and supportive healing modalities. In nursing, music started being used as a therapeutic intervention in the days of Florence Nightingale, who has been referred to as a "pioneer" of music therapy. Documentation of Nightingale's use of music therapy appears in the Florence Nightingale Museum in London and in her book, Notes on Nursing. Nightingale an her nurses used music therapy and musical instruments during the Crimean War to assist with the physical, social, spiritual, and emotional healing of sick and wounded soldiers. Specifically, they used voice and flute melodies for pain management and to soothe, calm, and comfort. Nightingale thought of music as an "auditory modality" that nurses could use to control the environment. Today, nurses are increasingly recognizing, teaching, and using music therapy in practice and in the art of holistic nursing. Many health care professionals now use music tapes for their own relaxation as well as an adjunct for patient care. The number of people who believe that music therapy can create a therapeutic and holistic healing environment for sick and stressed people is rapidly growing. Music therapy is a beneficial modality that can help people of all ages take a different approach to healing. Music therapy is used in health care settings such as hospice and palliative care, oncology units, preoperative and post operative care units, and pediatric, obstetric, and cardiac units. It is also used in psychiatric hospitals, where it has been used to help explore personal feelings and make positive changes in mood and emotional states of the mentally ill.
Music therapy is also used in school settings. Specifically, it is used to foster the development of motor, communication, cognitive, and social abilities in children. Music therapy is particularly useful with children who have special needs. Creating, composing, singing, moving to, and listening to music can bring a wide range of cognitive, emotional, and physical abilities into focus. Music therapy can also improve social behavior, self-esteem, confidence, and communication skills in children. For example, Leslie Stall, from the news show 60 Minutes recently reported the story of Rex, a boy who was born with a brain tumor. He was very hyperactive and could not sit still or stay focused for any length of time. He was also very sensitive to touch. At age 2, Rex's father bought him a musical instrument and Rex responded well to it. The instrument calmed him and kept him focused. Today, Rex, is a functional and talented musician who can instantly play any tune after hearing it only one time. Although Rex still needs help with physical needs, such as lacing his shoes, music therapy has given him a vocation and a life. Oprah Winfrey reported similar results of a music therapy program for disabled and talented children. Music therapy has a wide range of therapeutic benefits. Music therapy is gaining ground as a legitimate and powerful way to treat patients with various conditions, ranging from muscle pains to different types of cancer. Music therapy has social, emotional, and psychological therapeutic benefits and can be used to stimulate creativity as well as facilitate socialization, interpersonal interactions, communication, and impulse control. Some of the physiological benefits include improved respiration, decreased blood pressure, improved cardiac output, reduced heart rate, and muscle relaxation. Music therapy is a form of sensory stimulation that provokes emotional and spiritual responses due to familiarity, predictability, and feelings of security. It also allows clients to have a sense of control, independence, and confidence. It is a medium of communication that helps refocus attention during stressful or painful procedures and long treatments or surgery. 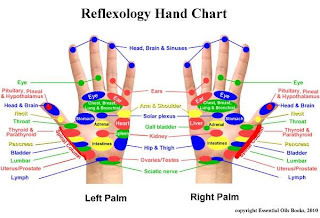 In addition, it has been used for reduction of pain and anxiety, disability, stress management, blindness, and as a diagnostic aid to identify such problems as developmental delays and expressive disorders. Specific physical uses of music therapy are to reduce the side effects of chemotherapy, reduce anxiety in patients who have experienced myocardial infarction; improve mood postoperatively in bypass patients; and assist in the management of stroke, dementia, Parkinson's disease, and anxiety, especially before or during surgery. The holistic value of music cannot be overstated. Music therapy is safe, cost-effective, noninvasive, and easy to administer, so everyone can benefit from it. In fact, everyone has likely used music at some point in life to deal with an emotional economic, spiritual, social, or political problem. It should be noted that music therapy is not intended to used as a cure for any of the aforementioned diseases and disorders. Rather, it can serve as a complementary or alternative therapy to aid the healing process by promoting the healing environment. Music is fundamental to the body, mind, and spirit. It is far more than what meets the ear or makes us dance, smile, cry, or become sad or joyous. It speaks to our inner beings and souls, and it transcends time. Music therapy is a holistic modality that provides the body with energy that wakes up the inner spirit, stirs up our emotions, and promotes healing. In many cultures, music is a pure and cheap cure for many physical and emotional illnesses. For example, music therapy has been used to improve physical, mental, and restorative health and to regain speech and movement. Music is also an art form and an expressive language for all cultures. Although music has been shown to have healing benefits, like many other alternative and complementary therapies, science has yet to fully explain the epistemology of this harmless non-pharmacological therapeutic modality. For generations and in every culture, music has been referred to as "medicine for the soul." 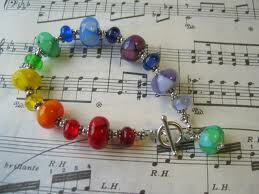 However, music therapy can be defined in different ways that encompass its wide range of uses. For example, Venes, Thomas and Wilbur Taber (2005) defines "music therapy" simply as the treatment of disease, especially mental illness, with music. In 2003, Keegan described music therapy as a nonverbal communication that has been used in rituals of celebration, funerals, and ordinary transitions of daily life. 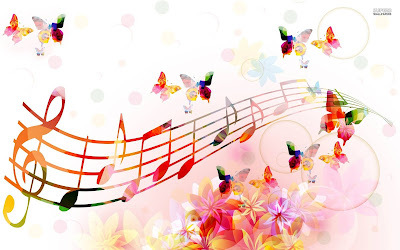 She notes that music therapy involves passive relaxation combined with listening to soothing, relaxing music for the purpose of changing behavior, physiological responses, and emotions via mind modulation. 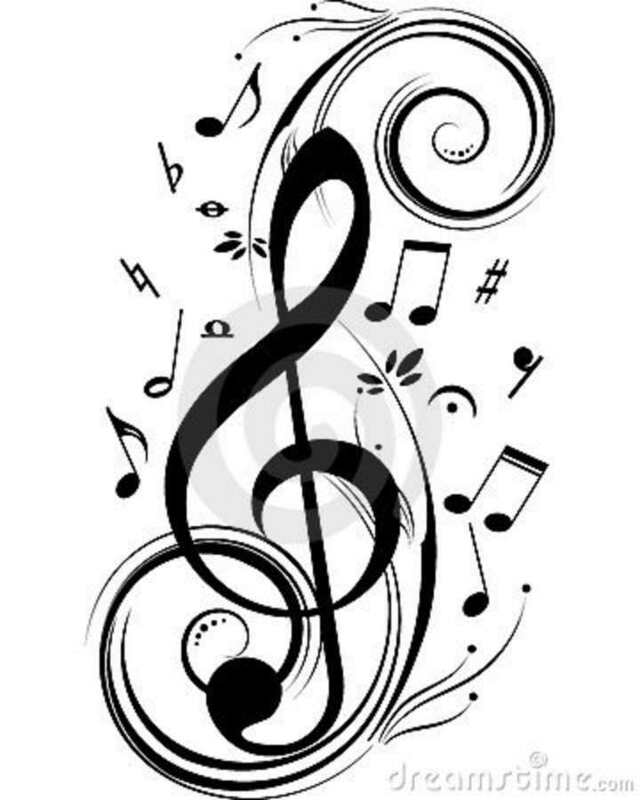 The well-known music therapy program of the University Hospital of Cleveland defines music therapy as the systematic application of music in the treatment of physiological and psychosocial aspects of an illness or disability. This therapy focuses on the acquisition of non musical skills and behaviors, as determined by a board-certified music therapist, through systematic assessment and treatment planning. 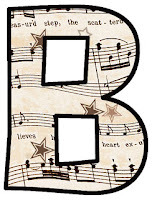 According to Burns, Harbuz, Hucklebridge, and Bund (2001), music therapy is the use of sounds and music within an evolving relationship between client and therapist to support and encourage physical, mental, social, spiritual, and emotional well-being. 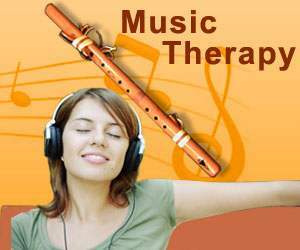 Music therapy is an established health service similar to occupational and physical therapy. Practitioners can use it to address physical, psychological, cognitive, and social functioning for all ages and cultures. Health care professionals are beginning to see the therapeutic values of music therapy as a powerful means of healing. Music is fundamental to the body, mind, and spirit. It is far more than what meets the ear or makes us dance, smile, or cry. It speaks to our inner beings and souls. It transcends time and provides us with energy, while stirring up our feelings. Music is holistic and provides us with entertainment as well as sedative, hypnotic, analgesic, and tranquilizing effects. The evolution of music as a therapy has been based on the healing practices of many cultures. In recent times, however, music therapy was first used in the 1940s with patients in psychiatric hospitals. The American Music Therapy Association was founded in 1998 for the purpose of developing music therapy for use in rehabilitation, special education, and community health care settings. Music therapy offers an array of benefits, with virtually no risks to clients. Music is used to enhance physical, psychological, cognitive, and social functioning for patients of all ages and cultures. Health care professionals are just beginning to see the therapeutic benefits and uses of music therapy. 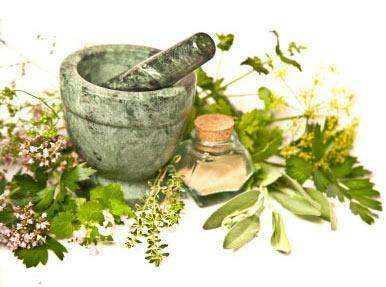 Herbal therapy is the use of an herb or any part of a plant for culinary or medicinal purposes. 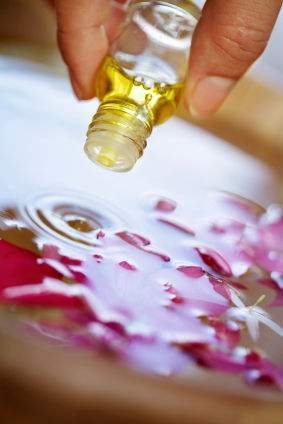 Herbal therapies are also sometimes referred to as "botanicals," "nutraceuticals," or "phytomedicines." Dietary supplements are considered a part of herbal therapy. Until the 1950's, the United States federal government regulated herbs as drugs. For example, in 1938, the U.S. Food and Drug Administration passed the Food, Drug, and Cosmetic Act, which required all drugs, including herbs, to be proven safe before they could be sold. In 1962, the Food, Drug, and Cosmetic Act was amended by the Kefauver-Harris Drug Amendments, which required manufacturers to also prove to the FDA the effectiveness of drugs and herbs before they could be marketed. Parts of herbs used in herbal therapies include flowers, fruits, seeds, stems, wood, bark, roots, and rhizomes. Herbal remedies are dispensed as brews and powders and can be used in cooking or making drinks. Herbalists, in some cultures referred to as shamans, or traditional healers, also make ointments and poultices out of herbs. The Holy Grail of spirituality is certainly attaining enlightenment. We glorify it and mystify it. It is seen as almost unattainable at best and certainly demands many life times of work to attain. In fact it is our normal, natural state. If we break it down, being enlightened is about living a life of extending ourselves in love and forgiveness, which I need to qualify. By forgiveness I mean that nothing really happened! It doesn’t mean that I’m big enough to forgive you, which implies that something really did happen! Being enlightened is also about not investing in the daily fears our ego subjects us to. What? Could it be that simple? Yes it is. The only difficulty is our investment in our ego, which we believe to be real. In fact our body, our job, our perceptions and judgments….this whole life we think we are living is just a charade, all a massive investment we made up to hide our shame because we believe we have betrayed God! Yet clues and aides to living an enlightened life abound. In fact they are right before us every waking moment of our lives. As soon as we wake up, we have a choice to let the day’s worry fill our space or realize that regardless of what we do, we are and have always been, safe at home with God. We realize that this day is in fact an illusion save the opportunities to offer love and forgiveness. At work, we interact with our fellow staff and customers. Here we are presented with multiple opportunities to offer only acceptance and forgiveness. 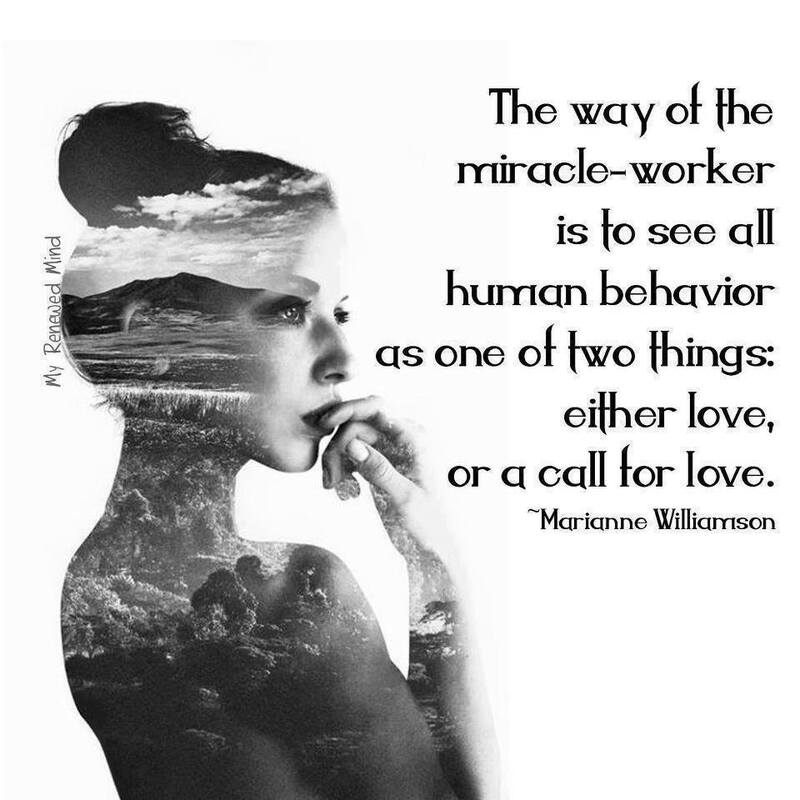 When someone is seemingly causing conflict, it is an opportunity for us to extend forgiveness and love because we realize that the other person does not realize who he/she is. By not reacting, we mirror to them who they are and we reclaim another part of our Unified Self. When challenged to assert our self, it is a signal that we have temporarily forgotten who we are and we should be grateful rather than react with attack or defence. Back at home in the evenings, the news entertains us with stories of terror and loss and the occasional ‘saving a cat from a tree’ story. Notice how we take sides depending on our values and beliefs. Here again is a wonderful opportunity to forgive on a global scale, which is no different to forgiving our family members, work colleagues or clients. I’ll bet I can hear your mind going through the motions, “Yes, but....there are always exceptions.” In fact there are no exceptions. There are no degrees of error or forgiveness! Herein lays the core of the ego. It loves judgments and degrees of right and wrong, because its whole being is based on duality. So long as you embrace duality you maintain separation from The Unified Self. Here’s another often spoken statement – “The devil is in the details.” I like this one. For me this is a true statement if I substitute ‘ego’ for devil. The ego is always looking for degrees of right and wrong and levels of love and forgiveness. It constantly looks into the details to find ways of separating you from others and yourself and making you unhappy! Our illusions of duality maintain our separation from one another and prevent us from seeing our Oneness by keeping us in perpetual conflict. Forever judging and manoeuvring. Just stop for a few minutes and ask yourself how much energy you invest in making and maintaining judgments every day? How much effort is spent on trying to change others perceptions of you? How much conscious effort goes into ‘doing the right thing’ by your partner, workmate, customer? Do you think it’s natural to have to spend so much time and effort maintaining relationships and making sense of your world? If our natural state is enlightened already, then can you imagine just how much the ego’s belief system has obscured from our awareness? Enlightenment therefore is a demolition project. We can’t get there without dismantling everything we think we know to be real. It’s about unlearning anything that keeps us tied into believing we must maintain control. As Jesus said in the quote, we are not of this world and we are alien here as well. Alien in the sense that our truth is Love and yet we live by the laws of survival of the fittest here in this world...and that is indeed alien to who we are. There is only here and now. Our Unified Self is already enlightened; everyone is. This is not a state or experience to accomplish through external searching and accumulated knowledge. And it doesn’t come closer just because you’re improving your self-esteem or meditating more. The most difficult challenge to removing the blocks that conceal our enlightenment, is the act of surrender. This is the unconditional acceptance of ‘what is’. We remember who we are by seeing the Truth in everyone, no matter what their ego projects. While we perceive reality from behind the lens of our false-identity, we haven’t a clue as to ‘who’ we are, nor anyone else! We will find our Self through training ourselves to overlook error in others. 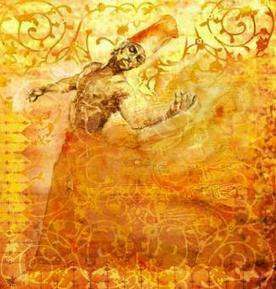 As we begin to see others without their ego projections, we’ll be seeing Truth beneath the illusion. 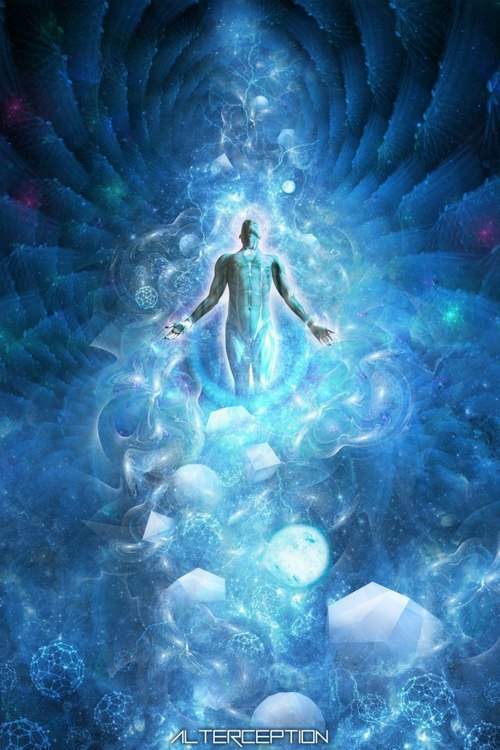 Now, watch for the miraculous transformation as our very own enlightened state begins to be revealed. 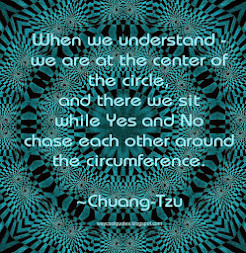 Clearly, there is no peace where duality resides and how can that be a normal state for us? In truth, we have never left Home and being enlightened is really just remembering who we are and the eternal peace that comes from that space. The Light is within us, always was, is and will be forever more. We need only accept it! Meditation is the art of focusing attention so completely on one thing that everything else around it loses focus. Alternatively, meditation is the art of letting go of all focus, paying attention to only the present moment while everything else fades away. Concentration and Mindfulness are two distinctly different forms of meditation and yet the desired result is the same. The mind calms down and remains in one place. The art of meditation has a religious and philosophical background. 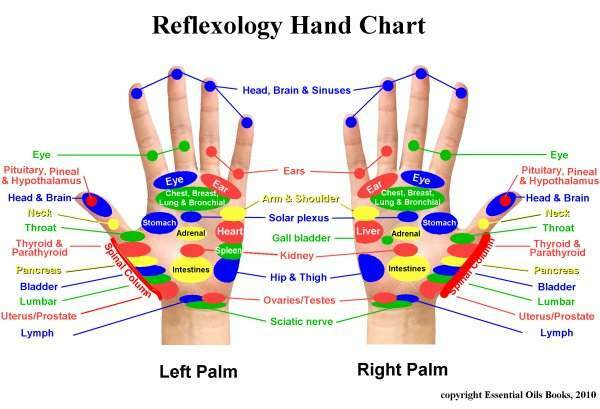 Although it can be used alone, it is frequently used with relaxation exercises, yoga, and other types of alternative therapies. Some forms of meditation use a mantra as a vehicle to turn the mind inward, others rely on sensory perception. Unlike hypnosis, which is a passive experience, directed by someone else, meditation is an active process directed toward balancing the mind, body, and spirit. Our minds control our energy. The universe responds to whatever you think. If you say you’re too poor, the universe will deliver just that. If you say you are happy, you will become that. Do it yourself and watch how saying the positive brings in the positive. 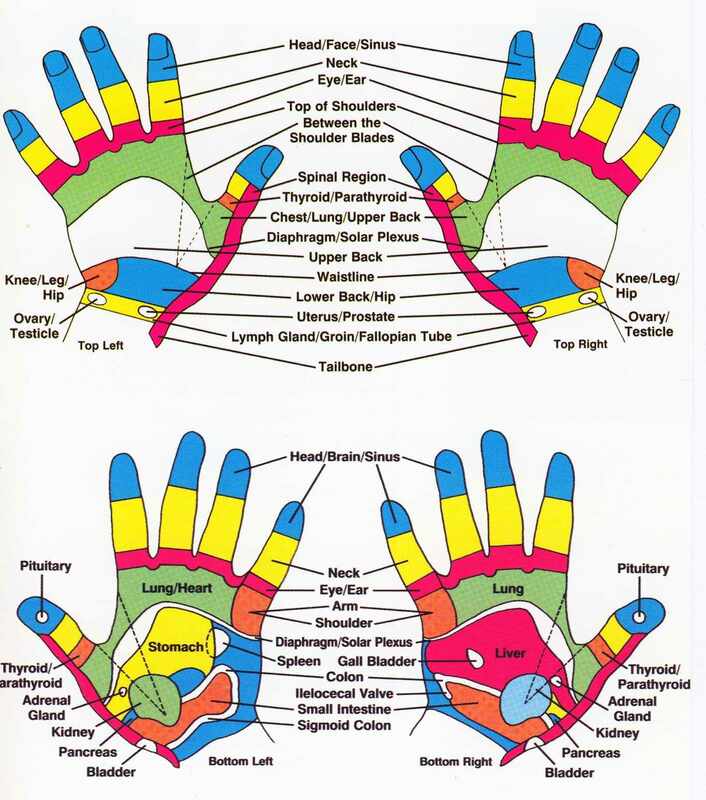 This page acts as a table of contents for the information provided here about the Chakra System. It will be updated as more is posted, so if you are interested in this subject, bookmark this page and check back often. This little blog has been sitting unfinished for quite a long time, and I am now, finally in the process of making things right. What I have decided to do is to move the content out of blogger and onto my own website, shirleytwofeathers.com. As part of this process, I have created several mini-sites devoted to "Healing Outside The Box." Chakra Central is one of those sites, and all of the Chakra information will eventually be moved over there. As I move the posts, I will link them individually. I am sorry for any inconvenience or confusion this may cause. Bright Blessings!